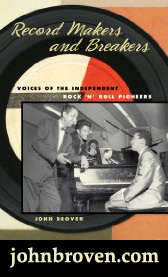 In 1956, Buzz Cason and his friends started up 'the first Rock & Roll band in Nashville', The Casuals. Immensely popular locally, they soon were traveling all over the Mid-South performing their own southern fried versions of the R&B they heard on the radio. 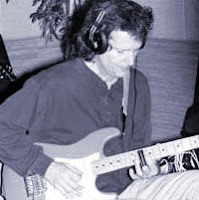 Cason's first attempt at songwriting, My Love Song For You, was recorded by the group for the small Nu-Sound label, produced by local legend Noel Ball. 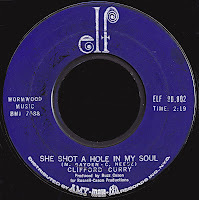 It was Ball who really got things rolling, featuring the band on his popular Saturday Showcase TV show, and eventually getting the record picked up by Randy Wood for release on his Dot label. Once they had heard their song on the radio, there was no turning back for Buzz and his band, and they set out in search of the 'Rock & Roll Dream'. Booked as part of the traveling 'package shows' of the day, the band was soon crisscrossing the country in an old station wagon, and living life out on the open road. They were approached by manager Dub Allbritten and asked to become rising star Brenda Lee's back-up band, a job which they readily accepted. Now in the spotlight even more, their gigs steadily improved, and before long they were appearing in places like the Sahara in Las Vegas, which was a far cry from their East Nashville roots, as you can well imagine. It was around this time that Buzz met a like-minded young songwriter named Bobby Russell, and when Jan & Dean took Tennessee, a tune they had penned together about their home state, into the Billboard Hot 100, people began to take notice. The California surfer dude's record label, Liberty, signed Buzz as a member of a vocal group they put together called The Statues, and began using them as background singers behind their other artists. They would hit the Hot 100 themselves in late 1960 with a smooth version of Blue Velvet, some three years before Bobby Vinton hit big with the same song. Liberty also decided to re-name Cason 'Garry Miles' and record a version of a song called Look For A Star which had just been released on their then rival Imperial by a kid named Gary Mills (imagine?). 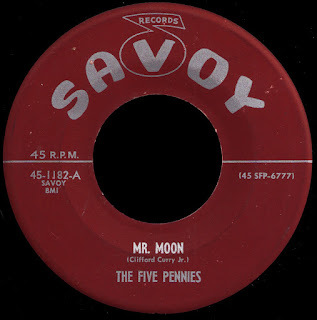 It paid off, as the Miles version surpassed the other guy's in the charts, going #16 Pop in the summer of 1960. Buzz, in addition to performing as a member of three different acts, now had to be Garry Miles on those package shows as well. Never a dull moment. Increasingly enamored of things on the other side of the business, and tired of life on the road, Buzz was enticed to Los Angeles by Snuff Garrett, all-around character, and one of the head producers at Liberty. He got Cason on salary at the label and in addition to singing background on just about everything from Gary S. Paxton to The Chipmunks (Buzz was Alvin), he was soon producing sessions of his own, including new signees The Crickets, who were attempting to carry on after Buddy Holly's untimely demise. After Crickets' lead singer Jerry Naylor took sick just before they were scheduled to tour the UK in 1964, they turned to Buzz for help, and he found himself fronting the band on a whirlwind swing though The British Isles. 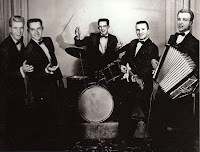 The group had been charting regularly over there, and the Cason produced version of La Bamba was all over the radio as they played to sold-out houses everywhere they went. Despite all of this acclaim, Liberty, in one of those company-wide belt tightening moves, let Buzz go. He decided to head home to Nashville. Already well-known in the burgeoning 'music-city', recording scene, he had no problem finding work. Bill Justis, the legendary Sun sax man, had made a name for himself in Nashville as the head of his own publishing conglomerate, Tuneville Music, and gladly took Cason on. Justis had produced a record on a kid by the name of Bucky Wilkin (the son of the woman who had written Long Black Veil), and it hit big when Larry Uttal released it under the name of Ronnie and the Daytonas in 1964. 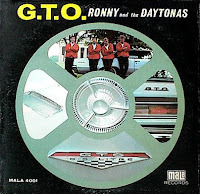 There never was any Ronnie, or any Daytonas for that matter, and the list of studio musicians who supposedly played on GTO includes Bobby Rusell and our old pal Chips Moman! In any event, Utall wanted more 'product' and Cason found himself a member of this fictional ever-evolving band, even appearing live on some dates in support of the records. 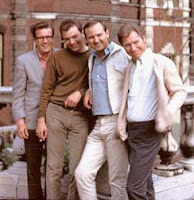 Sandy, a song he wrote for them, would become their second biggest hit in late 1965. Reunited with Bobby Russell, Buzz wanted to form his own publishing company as an outlet for their music. It was Bill Justis, who was heading out to the west coast himself, that introduced Buzz to Fred Foster, the iconoclastic head of Monument Records. Fred liked the idea, and helped Cason and Russell set up the company as well as a record label that would be distributed by Monument, Rising Sons. Another Nashville kid who had gown up in love with black music was Mac Gayden. Buzz had met him way back in the day, when he was working at Ernie's Record Mart, the coolest store in town. A musical prodigy, Mac had developed into quite the guitarist, playing in bands like Charlie McCoy's Escorts out on the fraternity circuit. He got his start as a studio musician through Columbia producer Bob Johnston, who used him on Dylan's Blonde On Blonde sessions in late 1965. Robert Peebles, meanwhile, had come up as a member of The Paramounts, a vocal group that was produced by our man Noel Ball for Dot Records early in the decade. 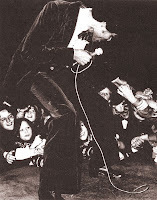 It was Ball who had come up with the stage name Robert Knight, and released a couple of solo singles on him. 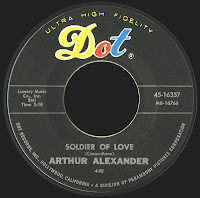 After a moderate R&B chart hit in 1961, there was some kind of contractual issue with Dot, and he never recorded for them again. Knight went on to attend Vanderbilt University, where he formed another vocal group, The Fairlanes. Gayden heard him singing with them one night, and was blown away. He brought him to Cason and Russell, who he knew were looking for talent for their new label. 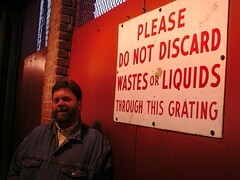 Buzz was equally impressed, and began working with Gayden, writing material for Knight's upcoming sessions. 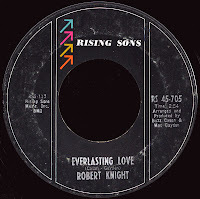 Putting lyrics to a few riffs that Mac had been playing around with for years, they came up with Rising Sons' breakthrough song, Everlasting Love, which spent 11 weeks on the charts, climbing to #13 Pop in the fall of 1967. No matter what you may think of the song, it has some kind of universal appeal, and has been a hit in four different decades (as we saw a couple of weeks ago with Carl Carlton). This sweet little number we have here today, also written by Mac and Buzz, was the flip of that record. Gayden's guitar kind of puts you in mind of Curtis Mayfield, while Knight sounds like a cross between Smokey Robinson and King Floyd or something... not bad. Buzz Cason and Bobby Russell had started up another label back in 1967, one they envisioned as more R&B than pop-oriented, Elf. Buzz used his connections in the industry to his advantage, this time getting Larry Uttal (who he had known since his Daytonas days) involved as the distributor. 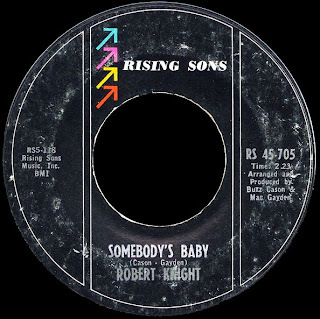 Although rather short-lived, as Rising Sons itself had turned out to be, the label released some great music. Please come with me now to The A Side, and we'll continue this story over there. 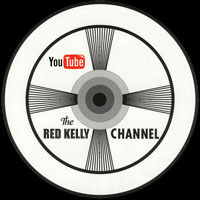 Do you know if Buzz Cason & Bobby Russell composed the Freddy Cannon song, "How You Gonna Keep a Good Heart Down?"